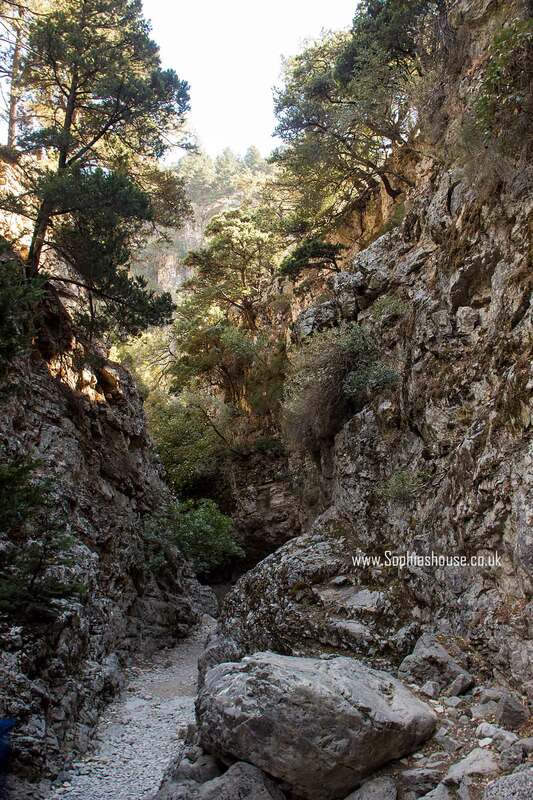 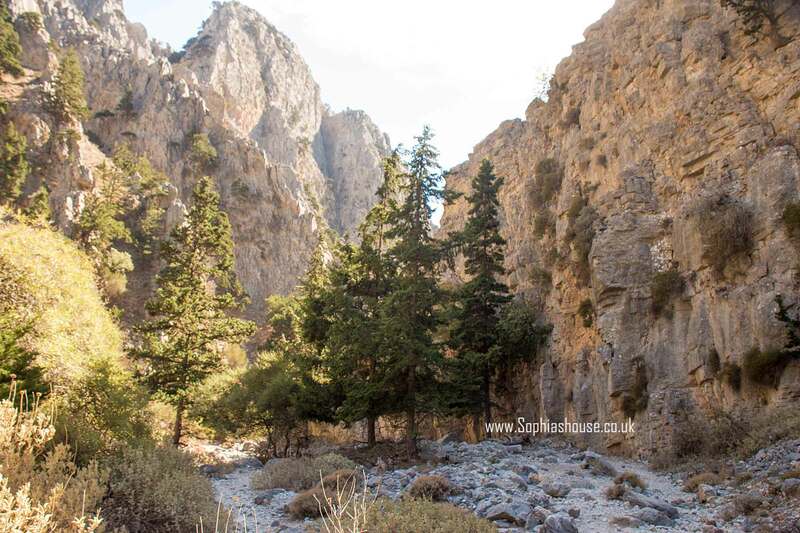 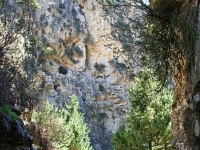 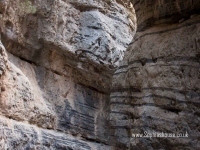 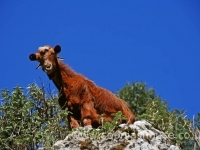 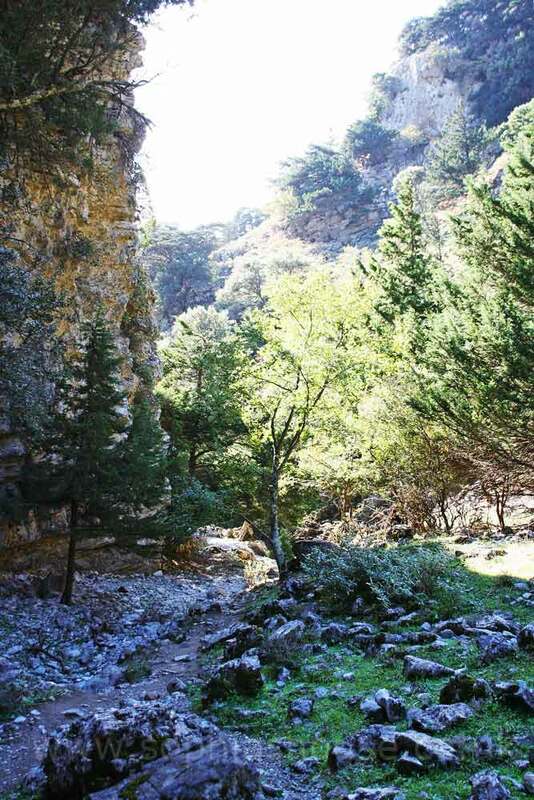 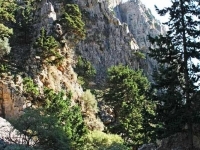 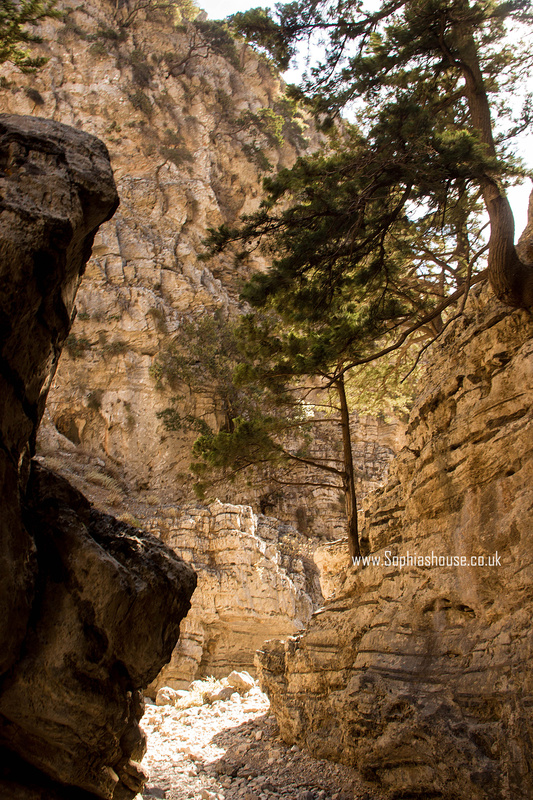 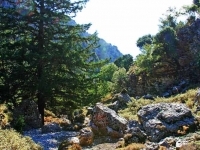 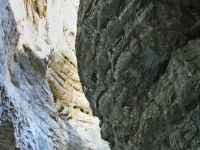 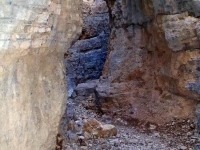 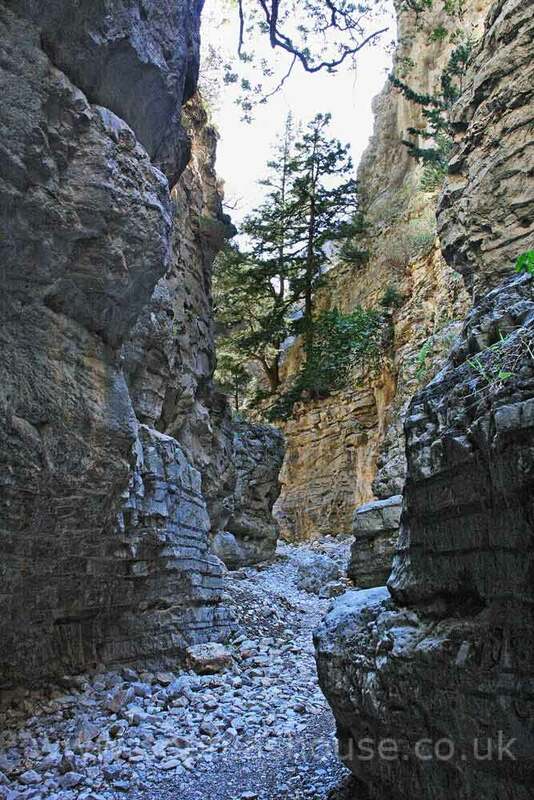 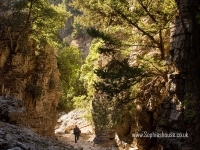 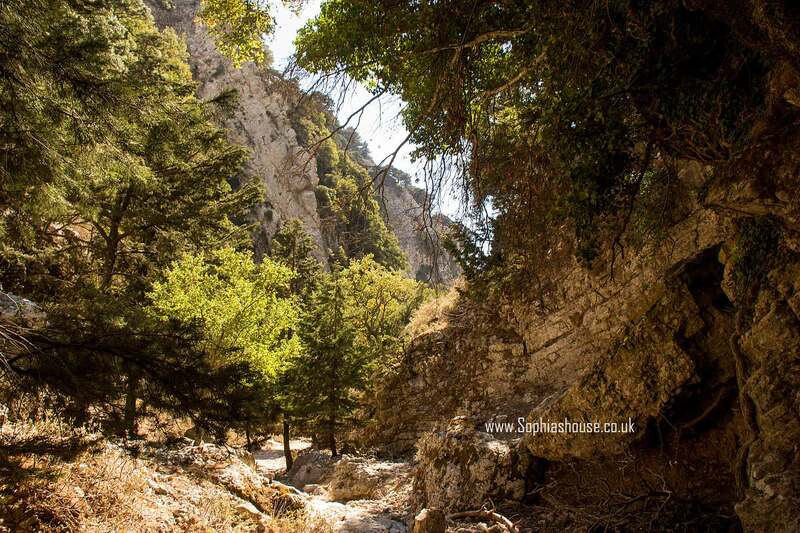 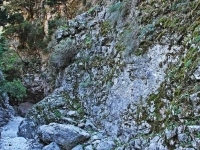 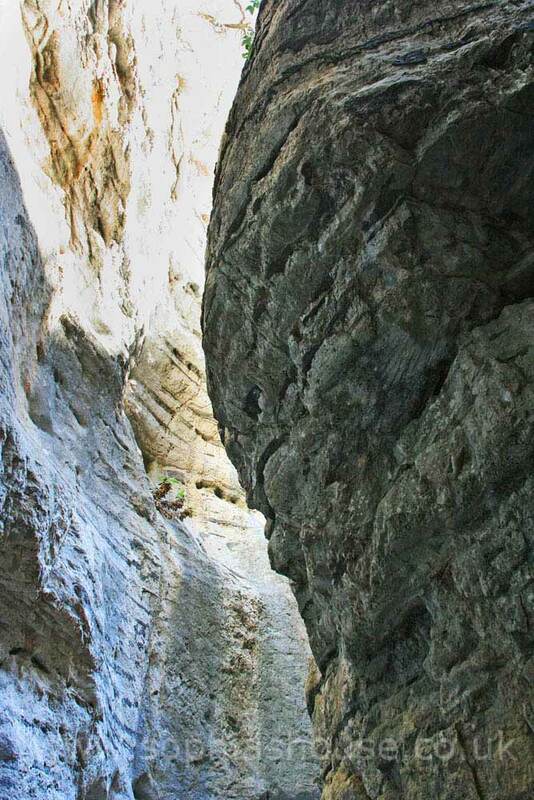 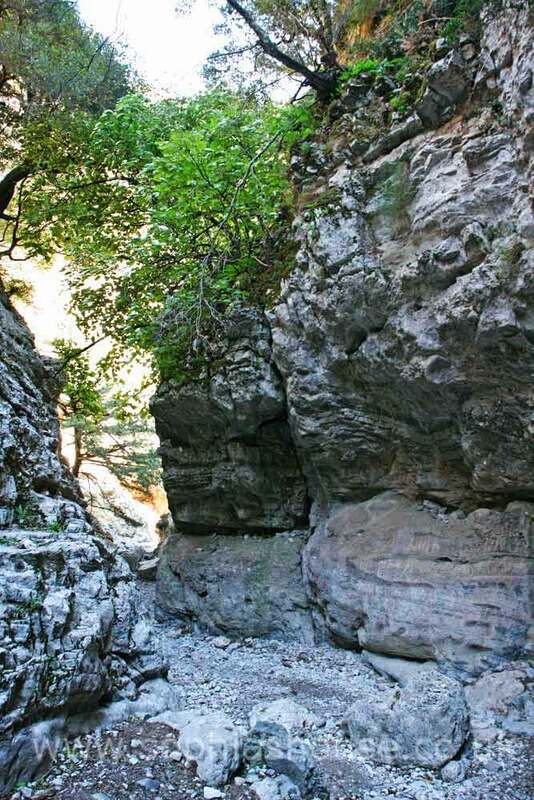 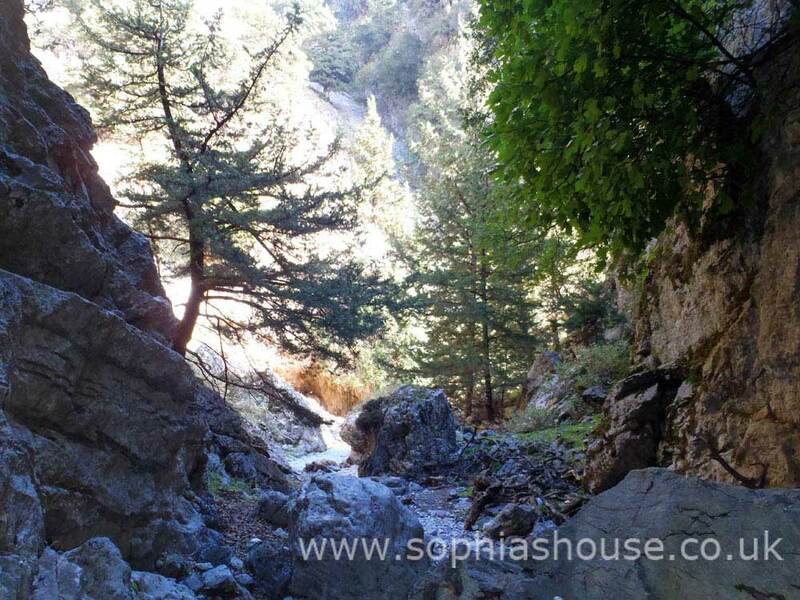 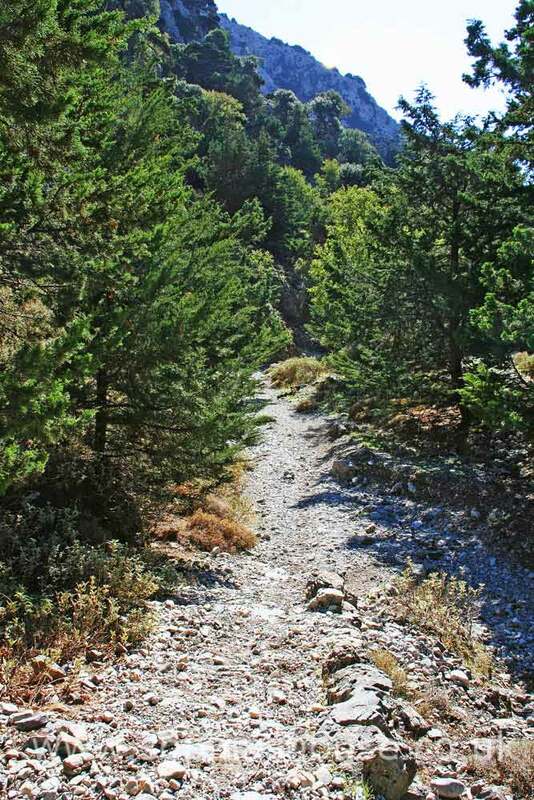 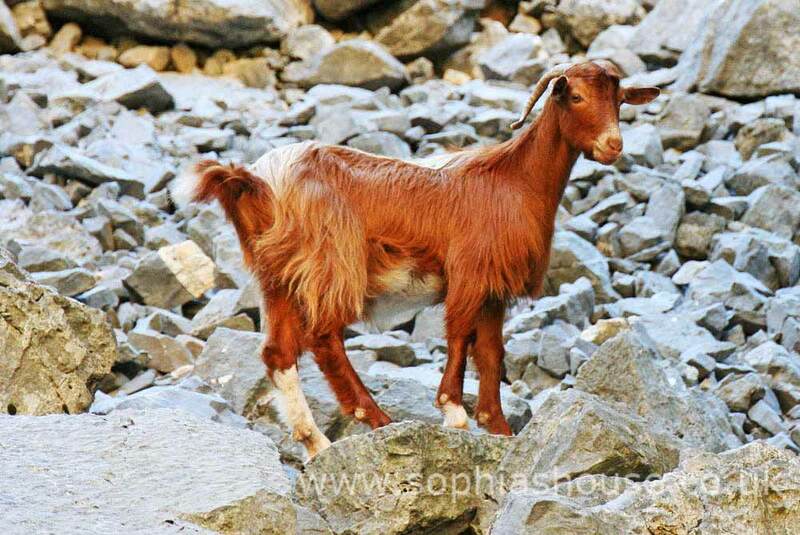 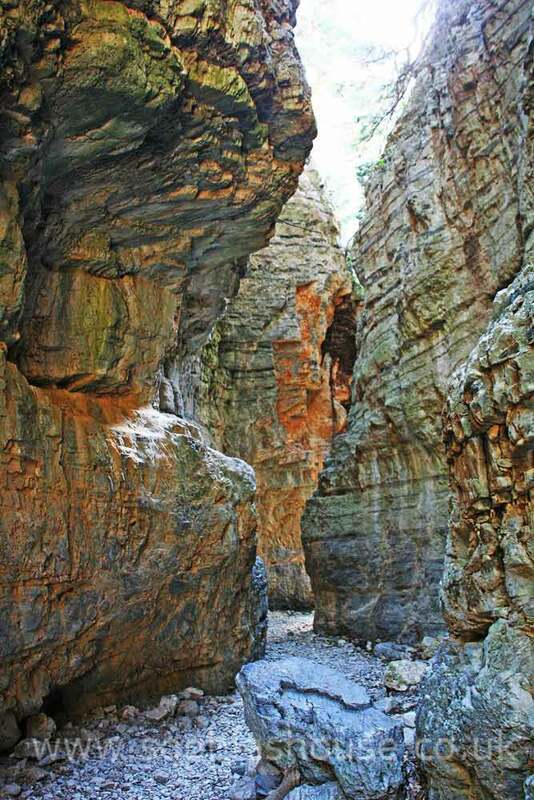 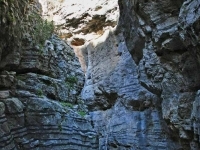 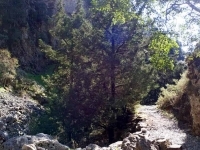 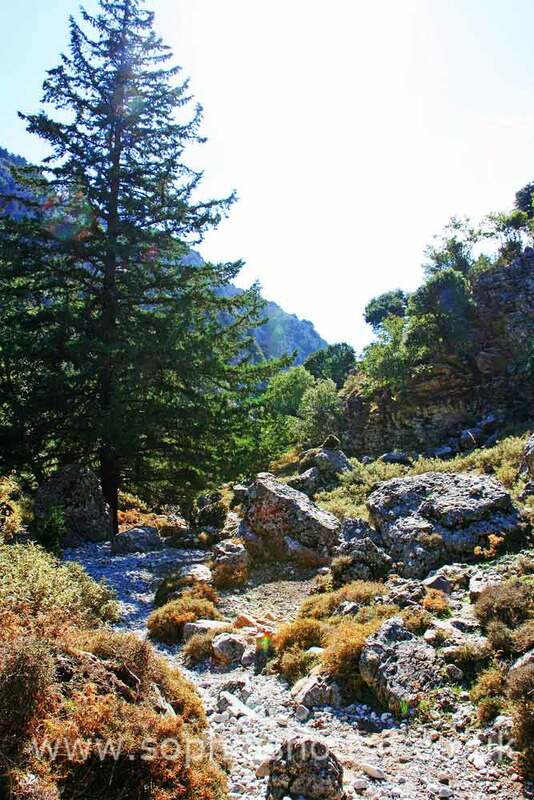 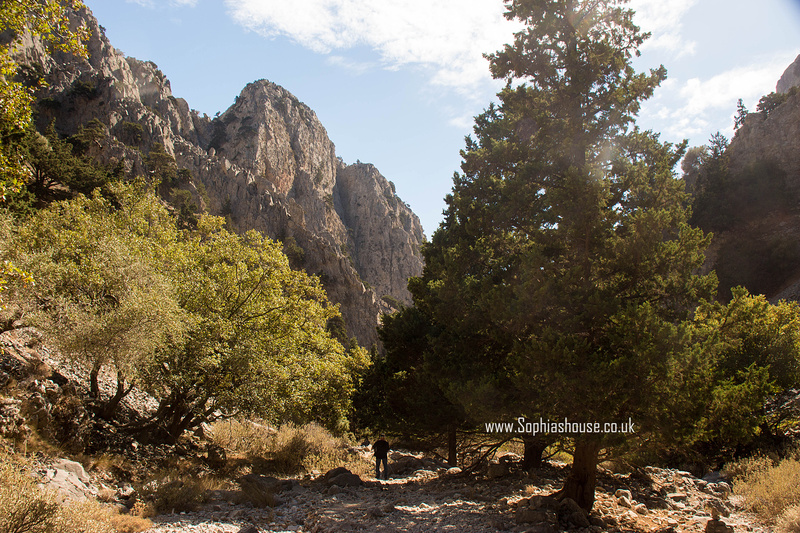 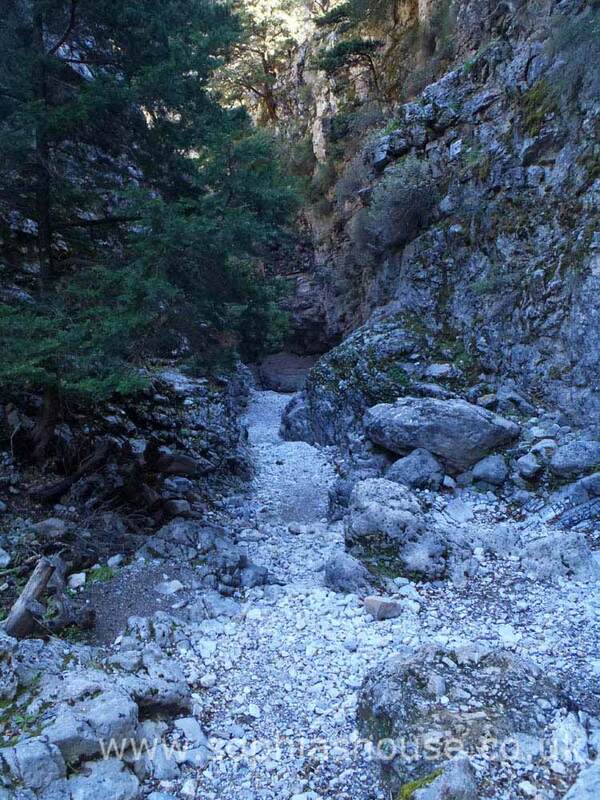 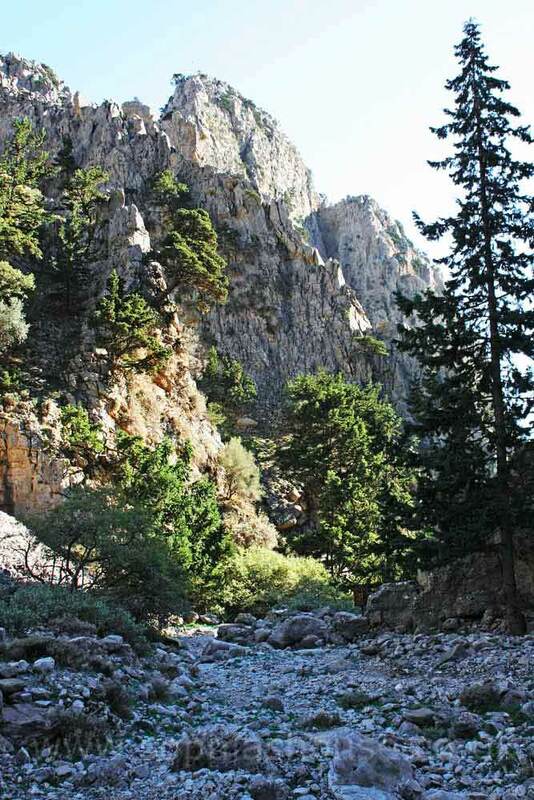 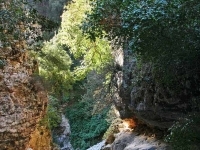 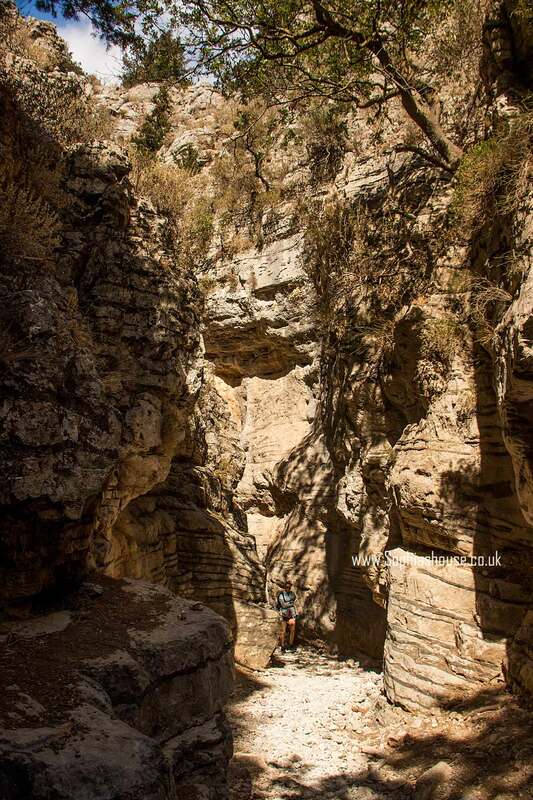 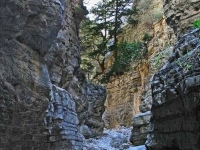 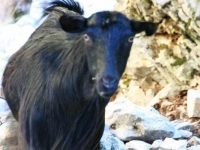 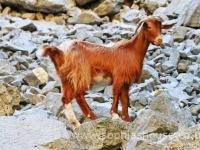 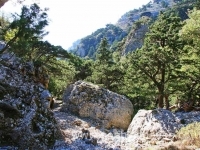 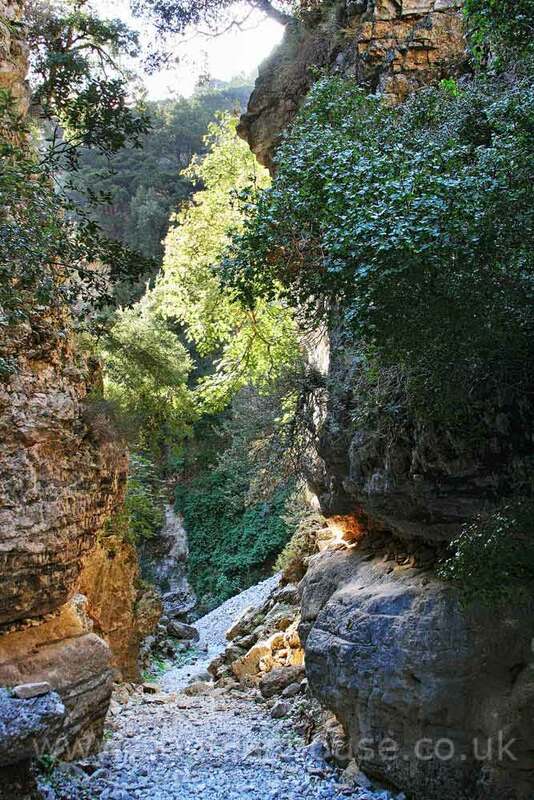 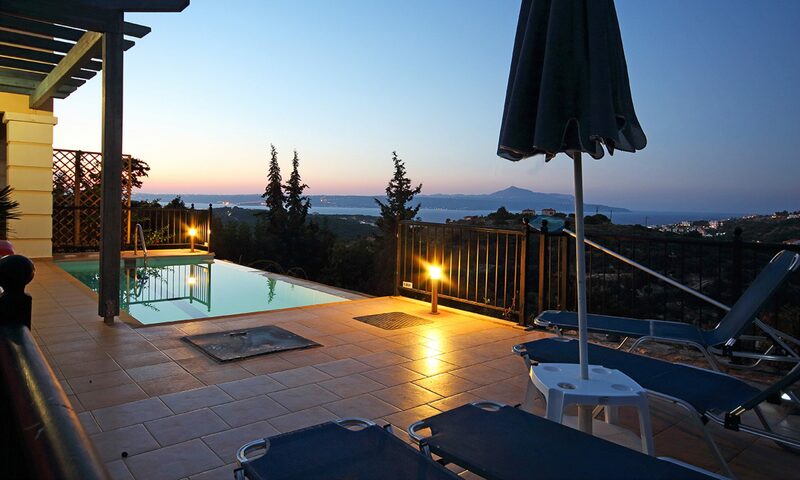 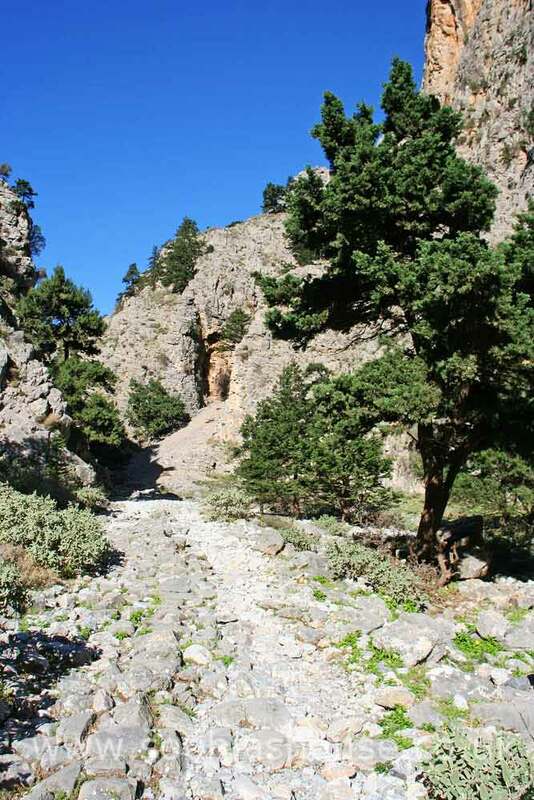 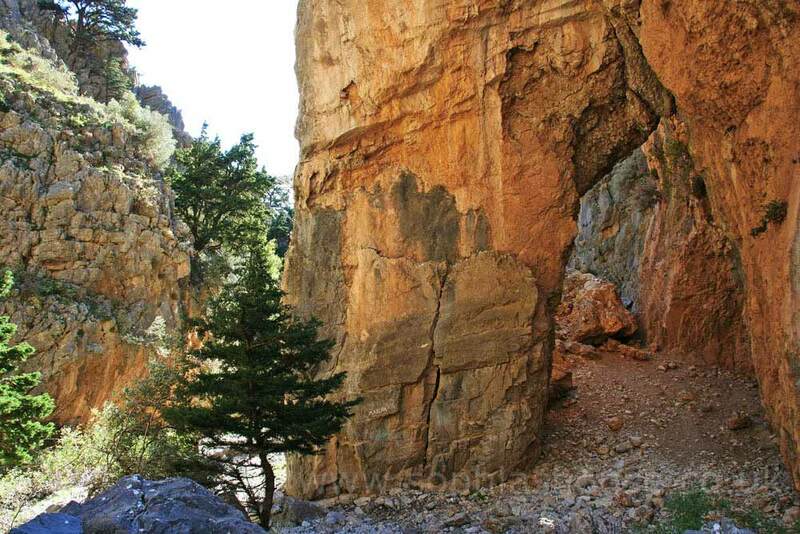 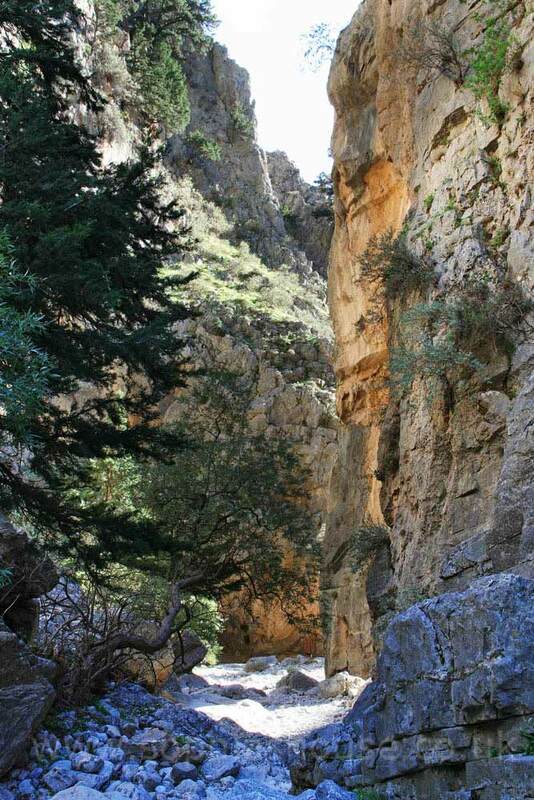 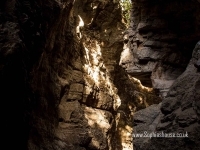 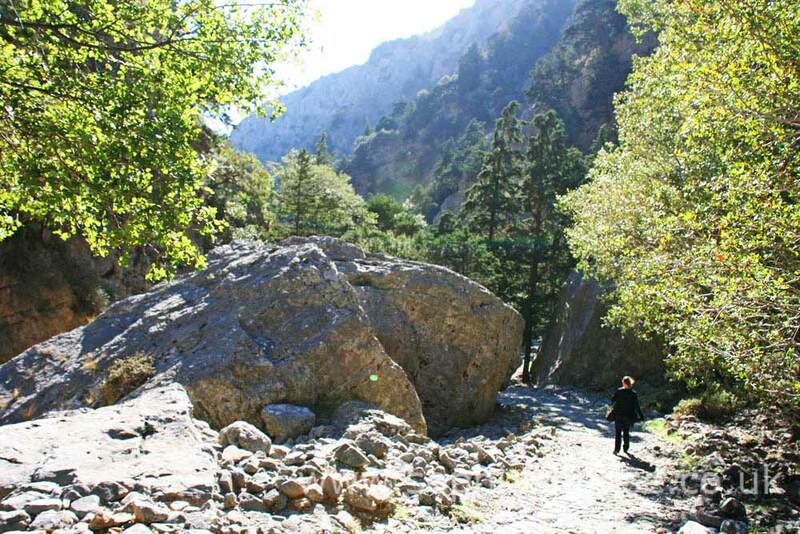 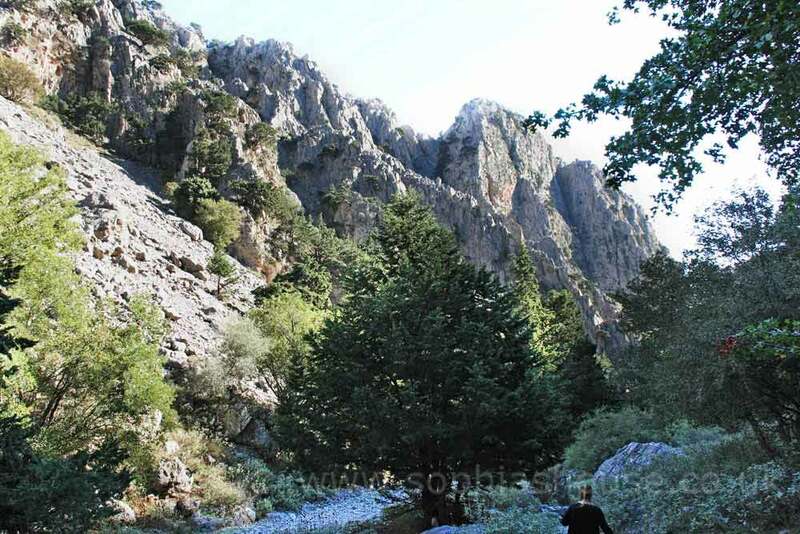 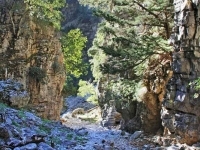 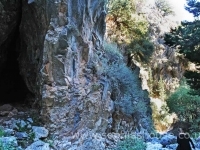 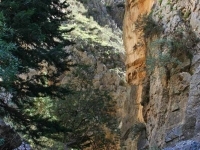 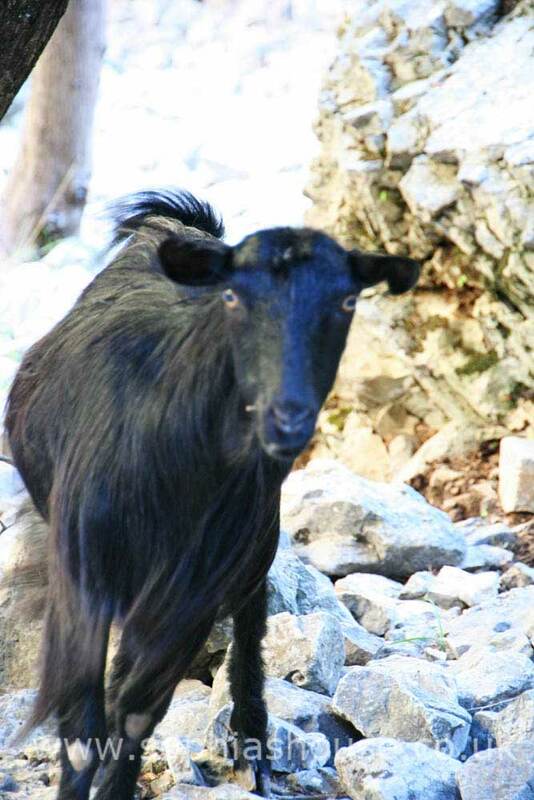 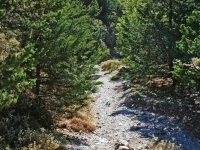 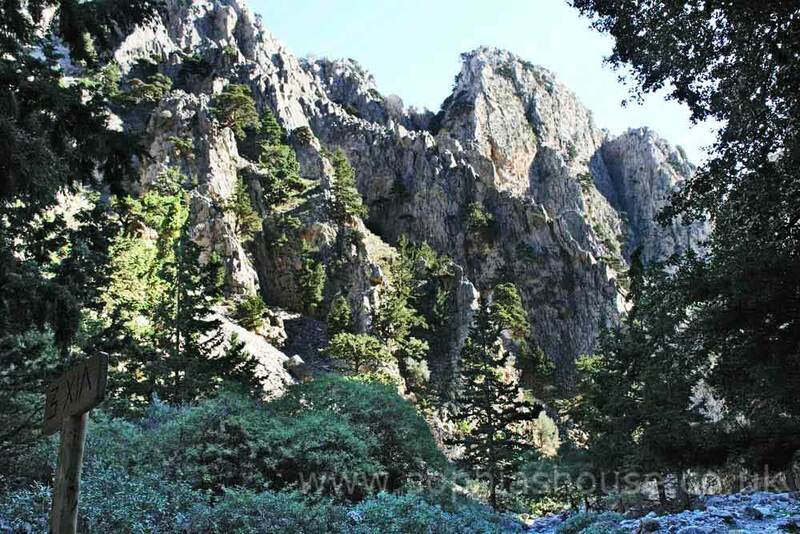 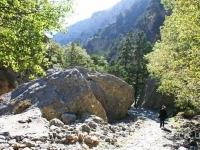 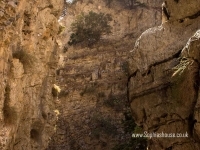 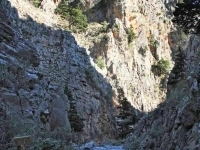 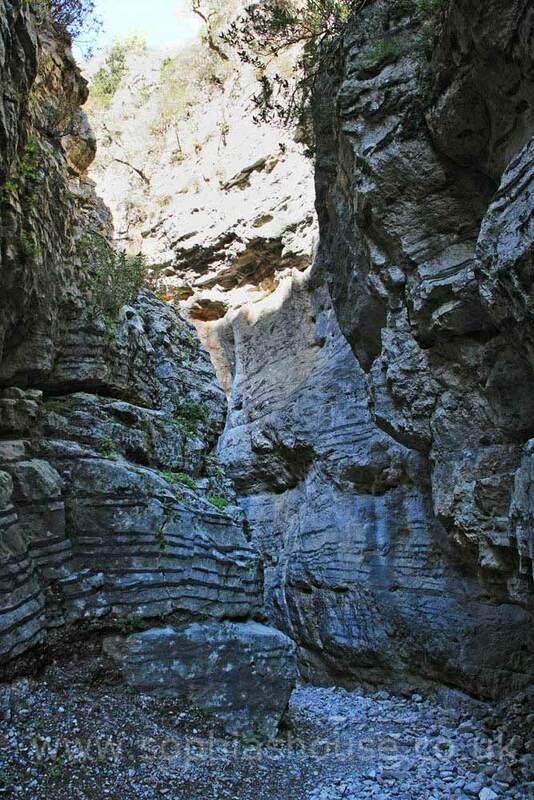 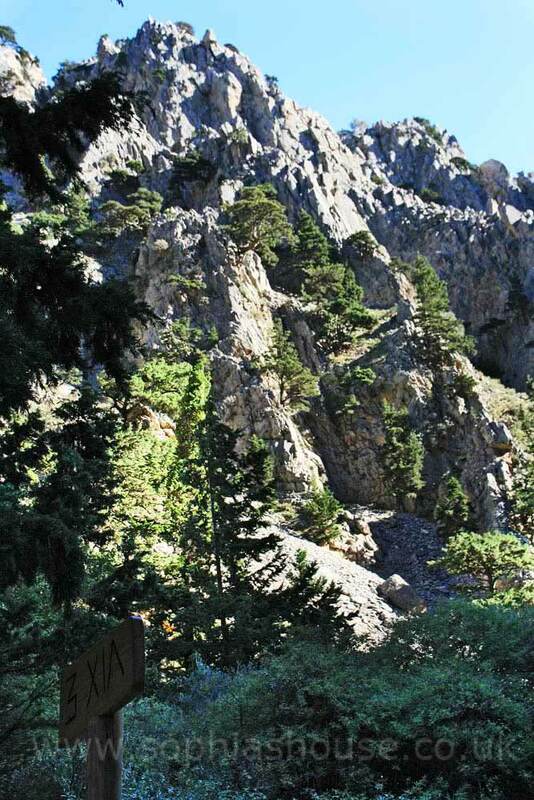 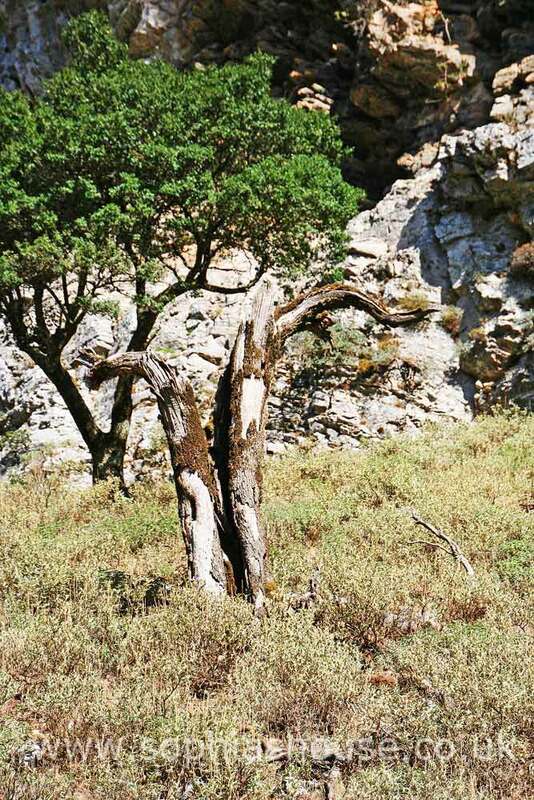 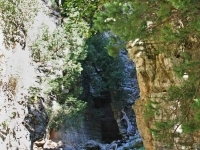 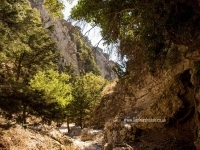 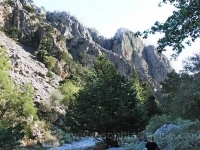 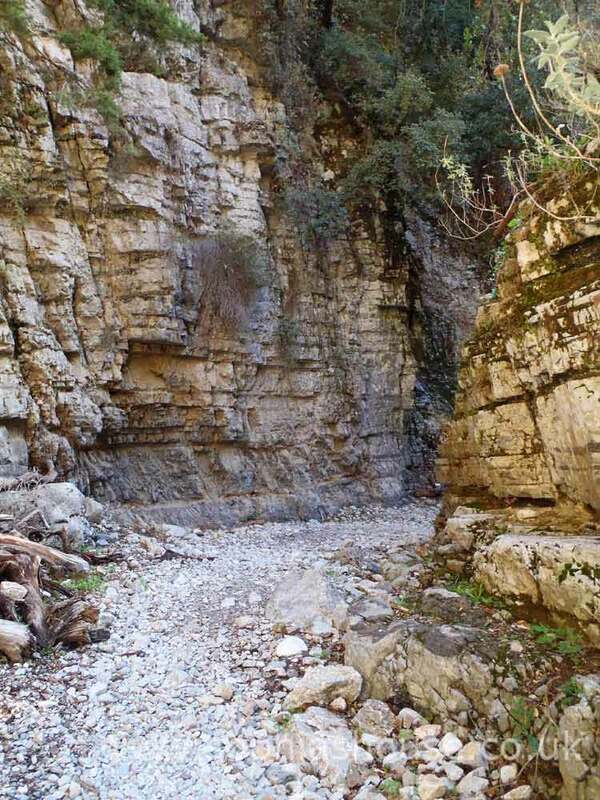 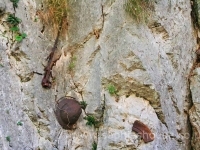 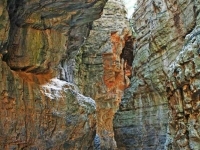 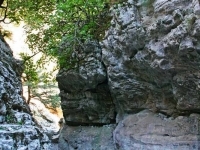 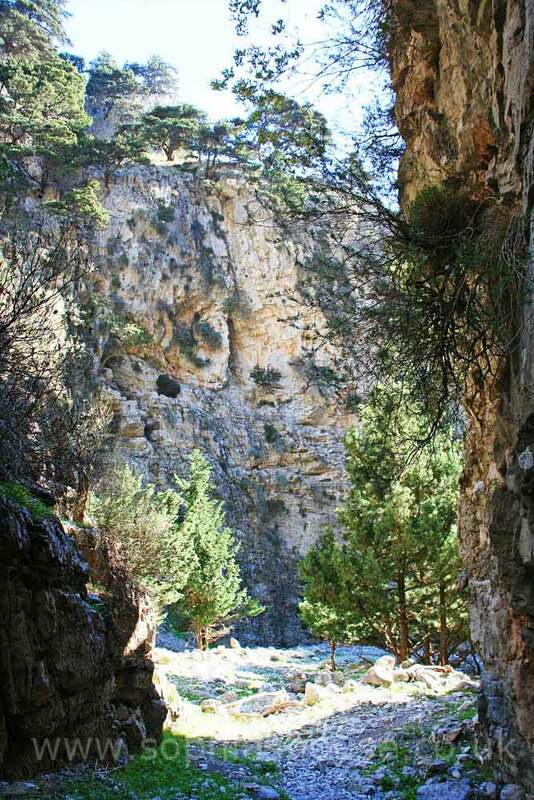 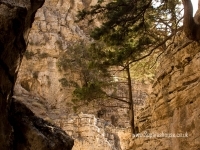 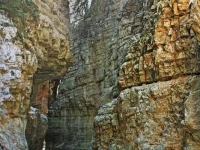 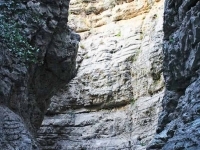 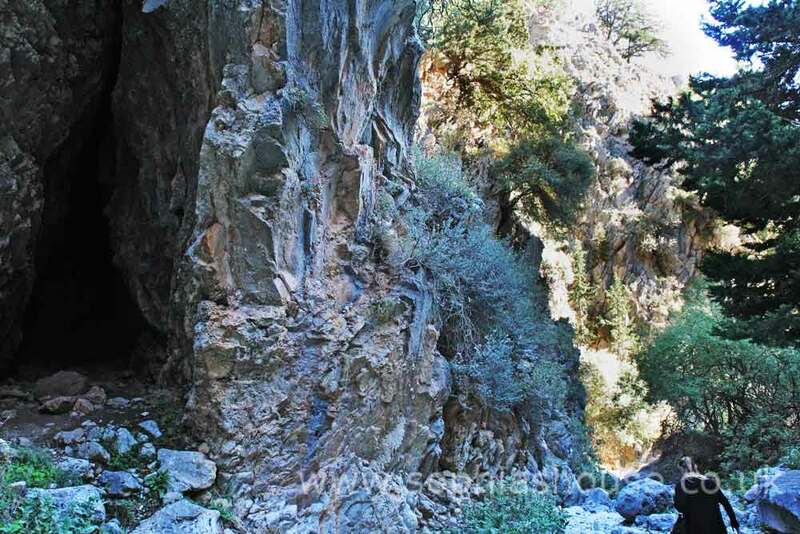 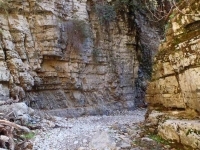 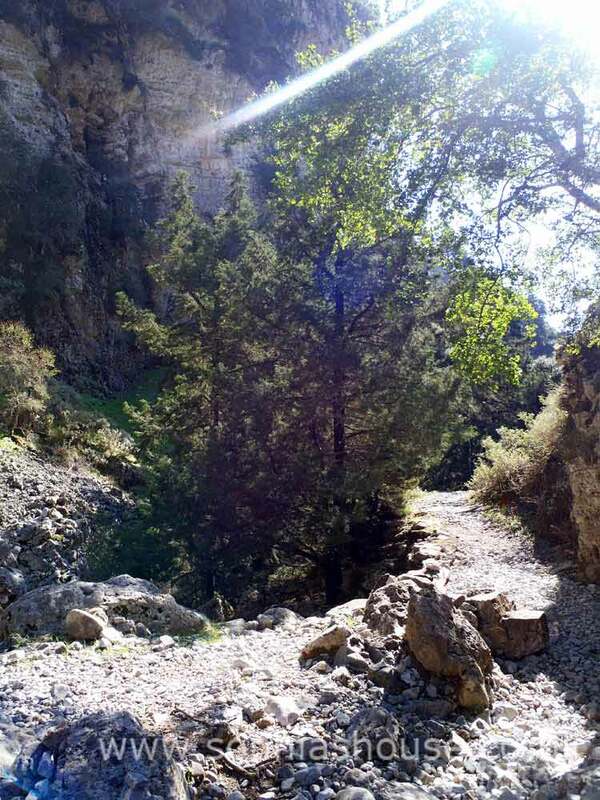 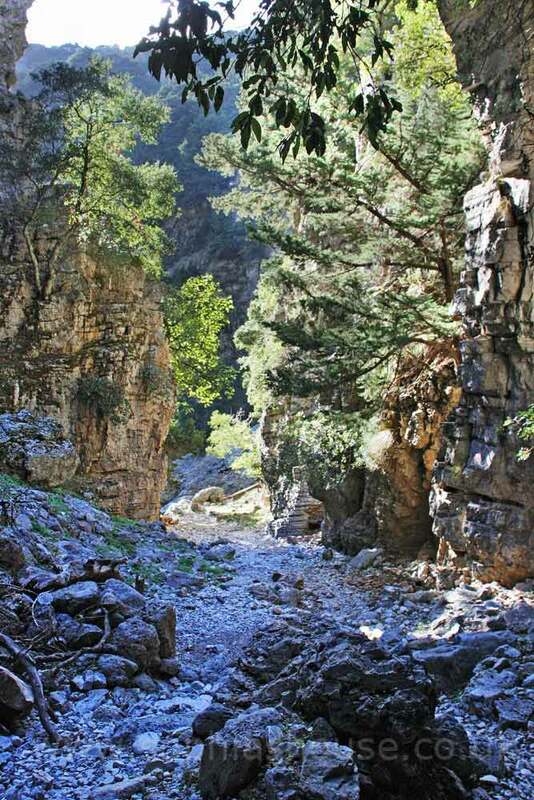 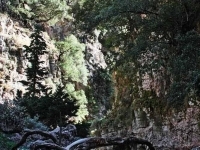 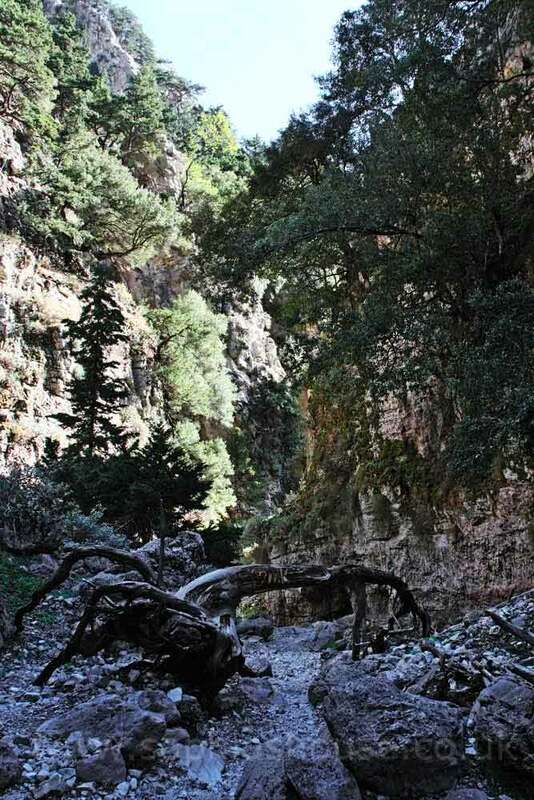 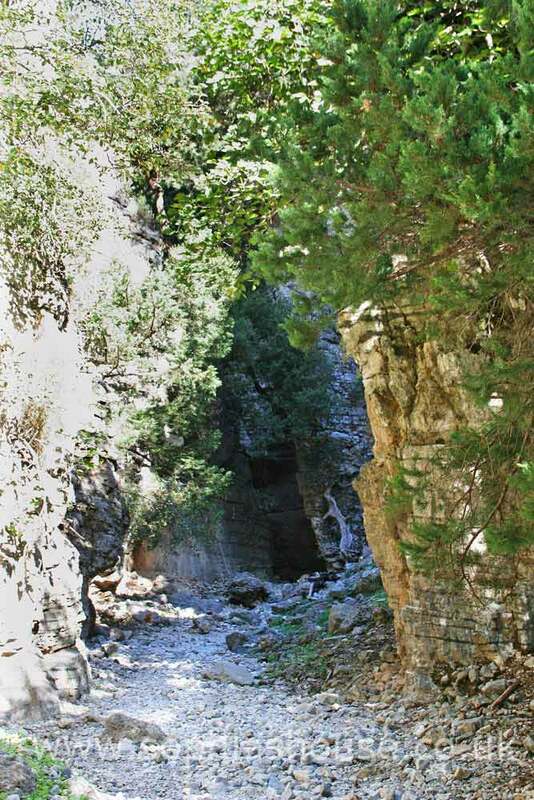 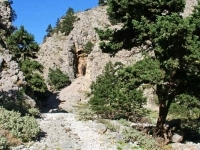 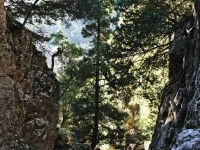 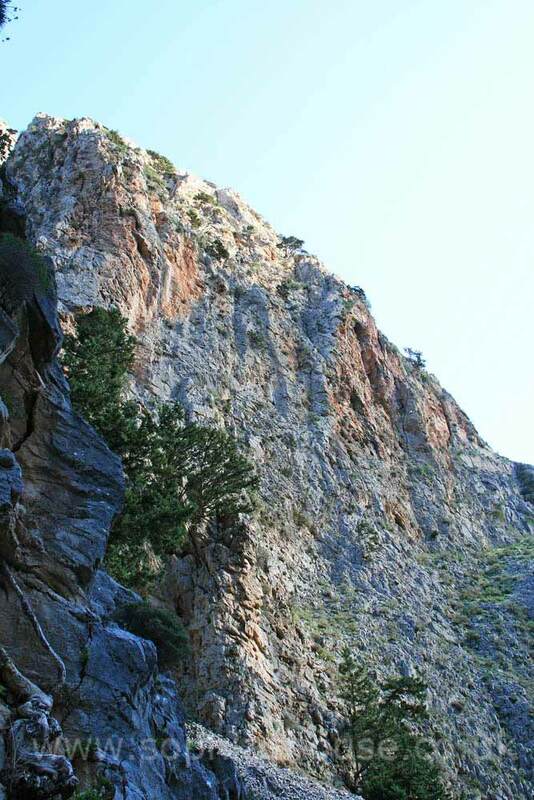 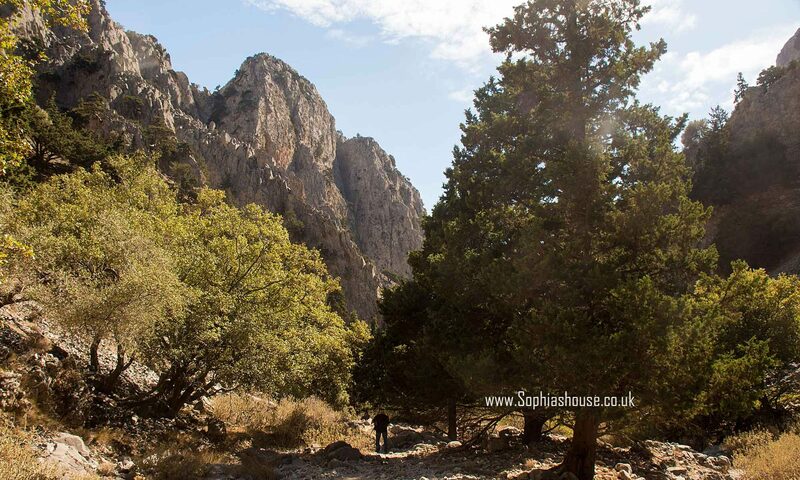 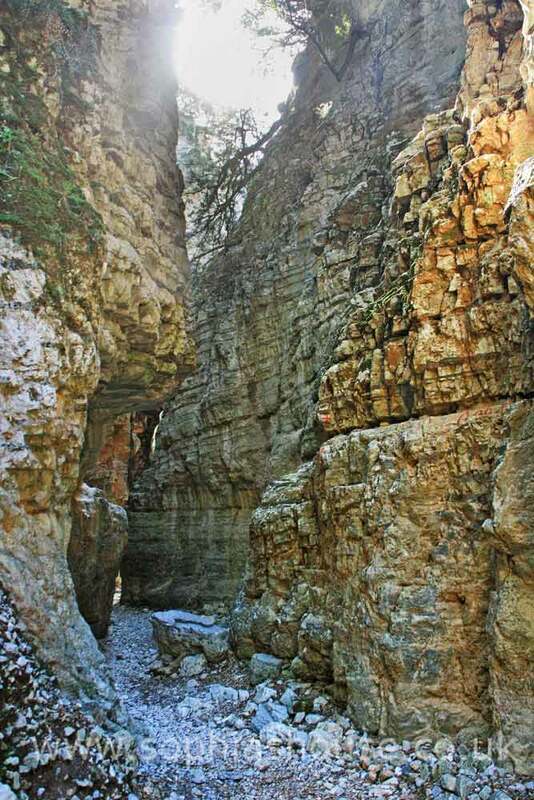 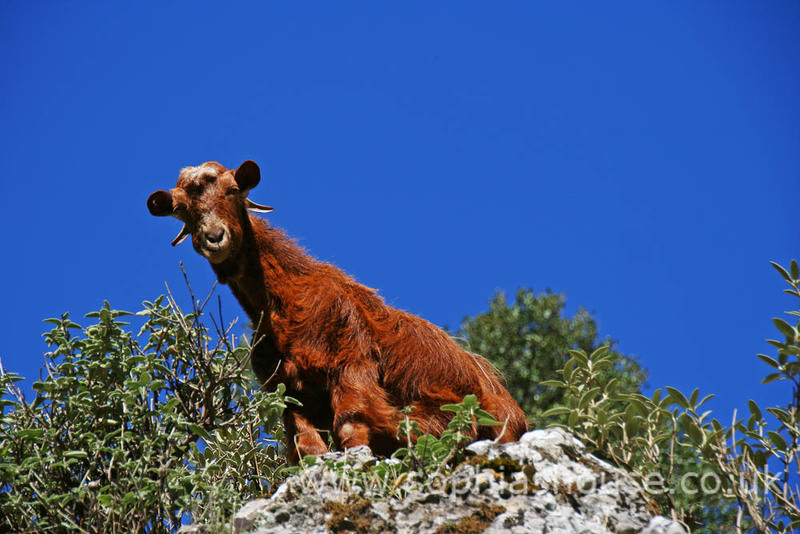 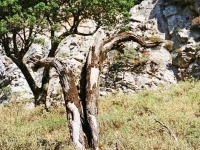 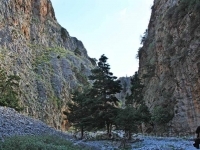 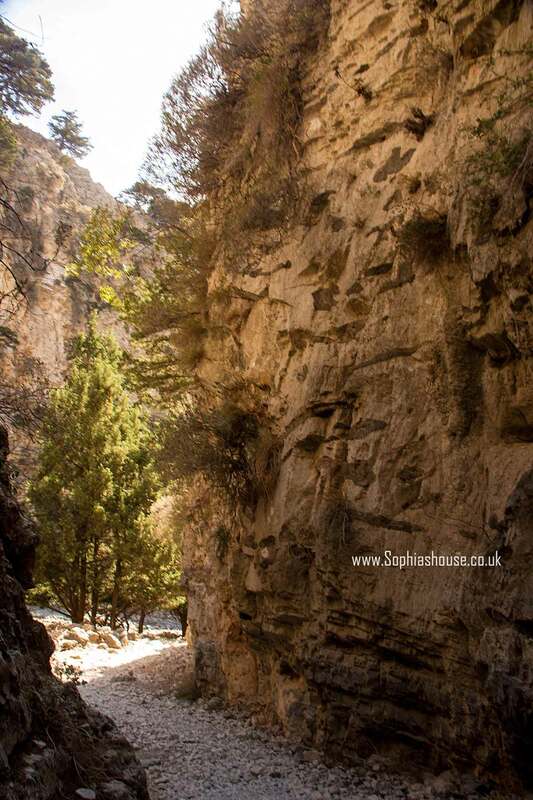 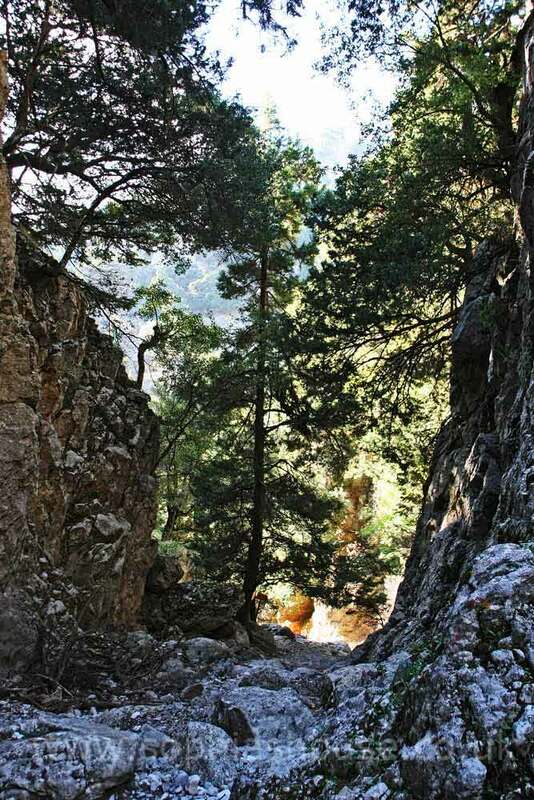 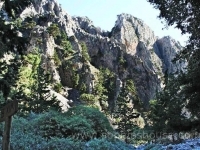 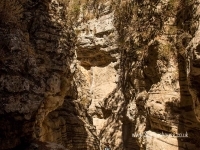 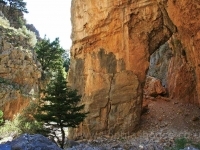 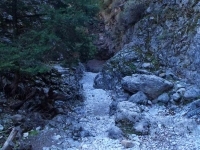 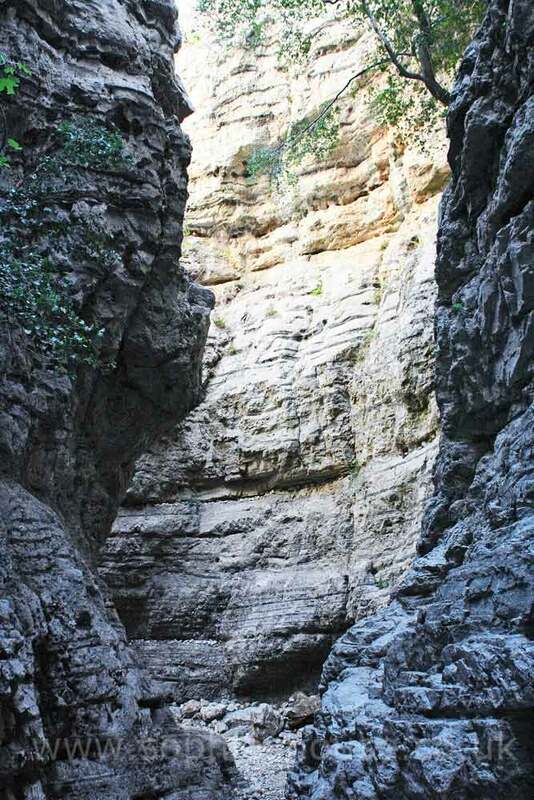 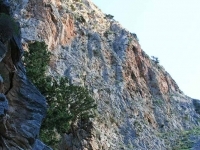 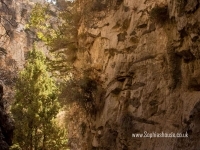 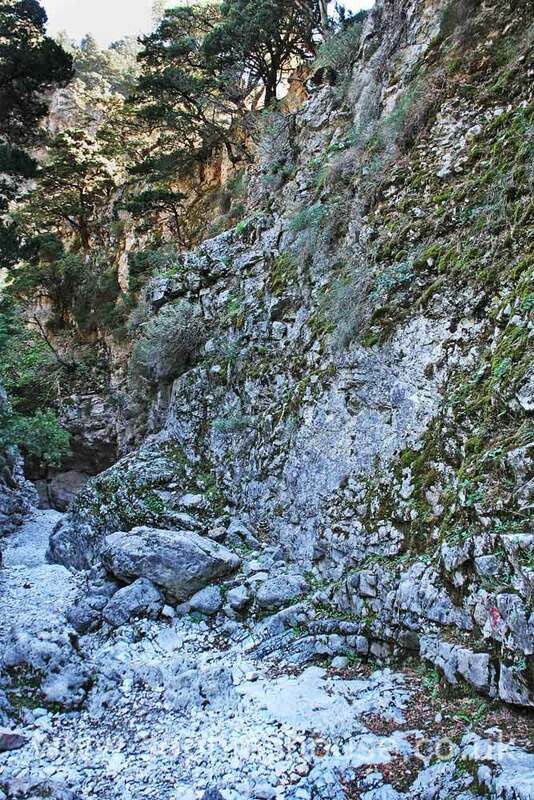 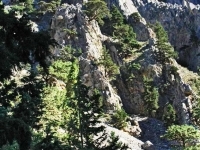 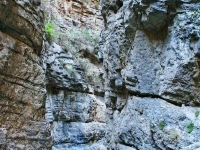 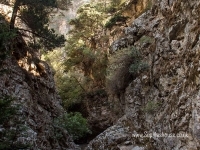 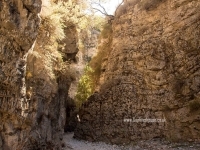 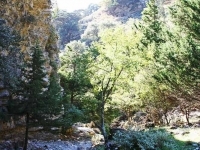 Park at the village of Imbros and walk down the gorge at the end you will be able to get a taxi back to your car. 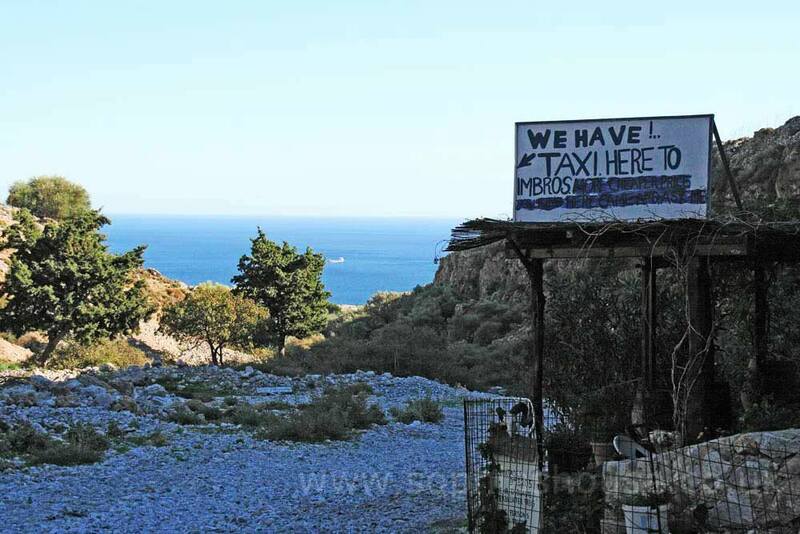 We walked it in November and only saw two people all the way through, however the tavernas at the bottom were all closed and we didn’t see any taxis, fortunately we did get a lift back form a passing car. 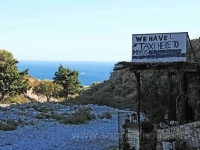 The taxis cost around 20 Euro, entrance to the gorge is reportedly around 4 Euro although all kiosks were closed in November. Take plenty of water to drink the kiosks were all closed when we went ( 9/11/12) but must say a much more pleasurable experience that Samaria only took 2.5-3 hrs to walk. 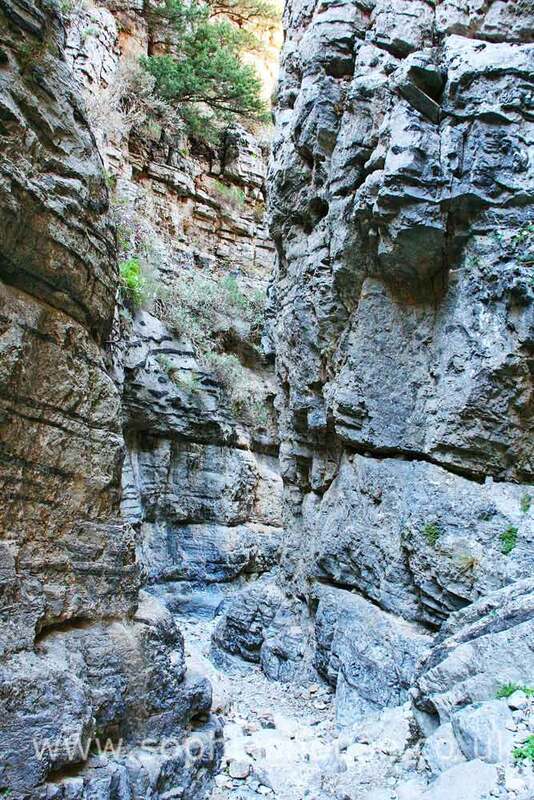 You can touch both sides of the gorge in places. 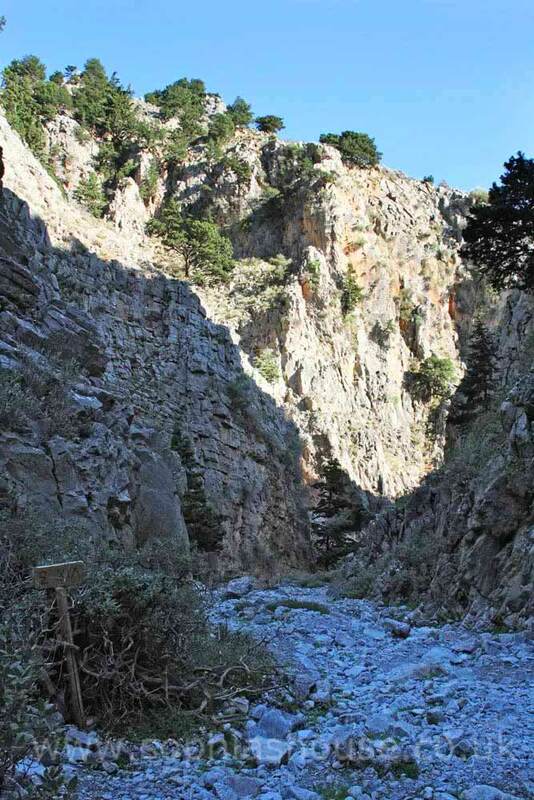 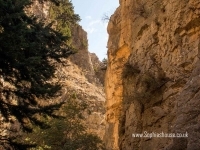 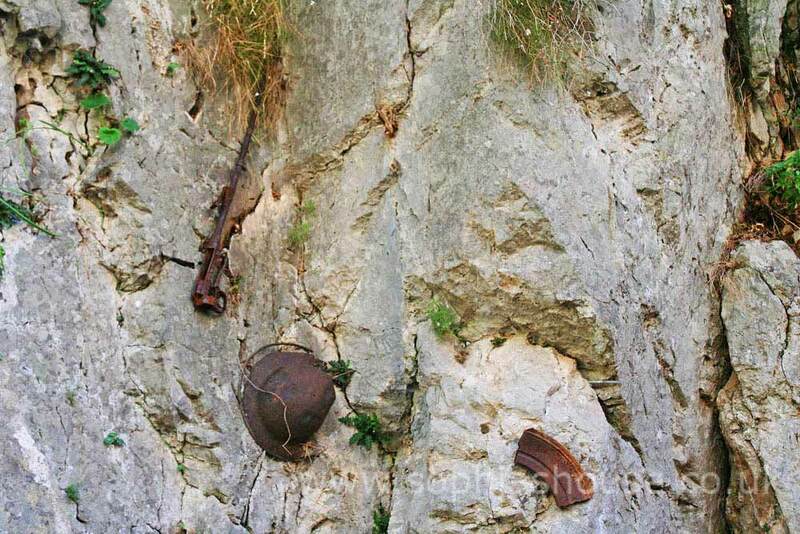 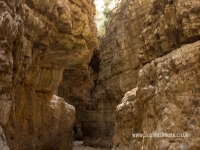 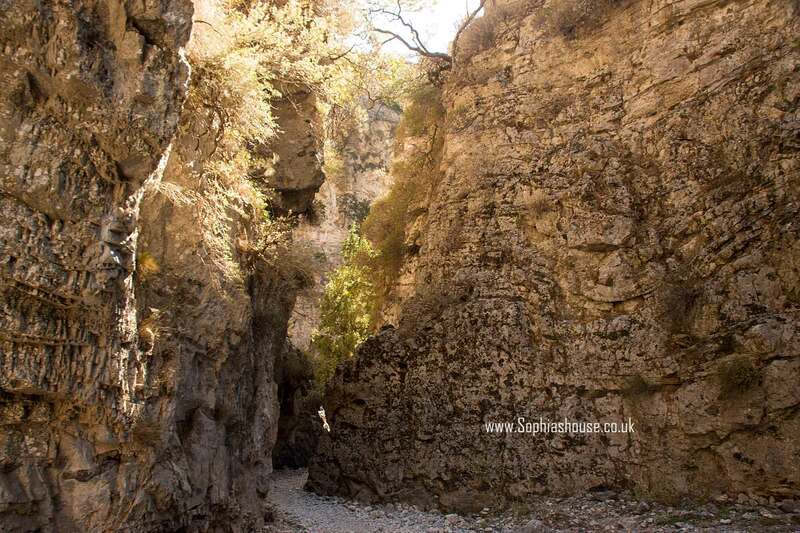 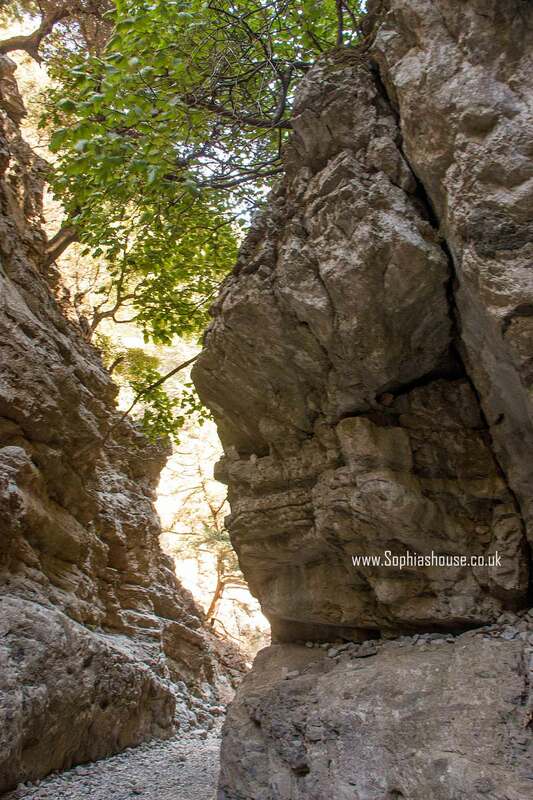 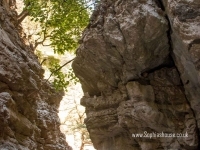 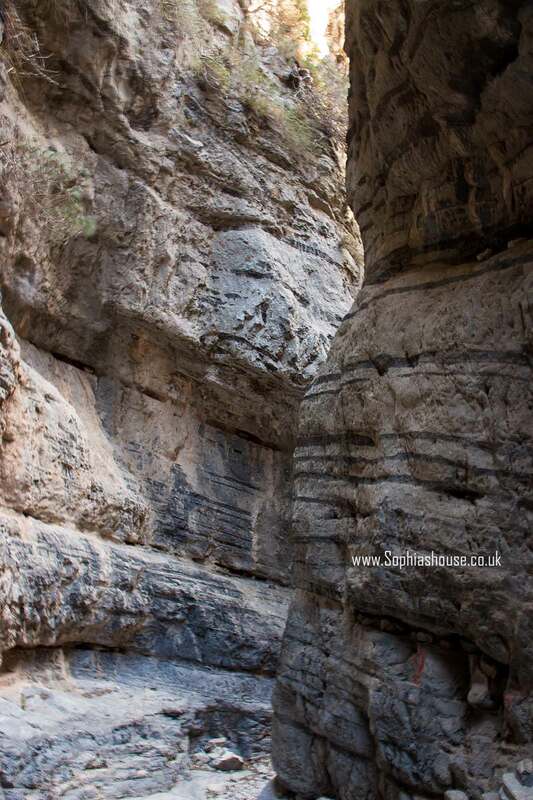 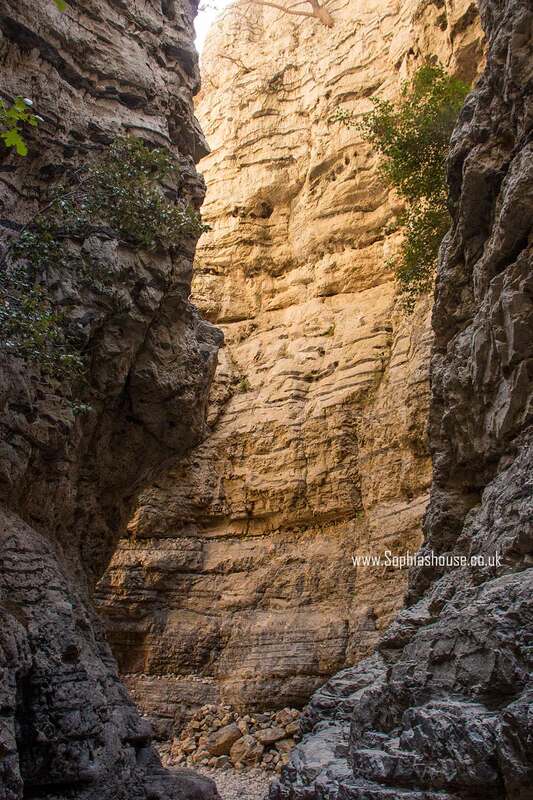 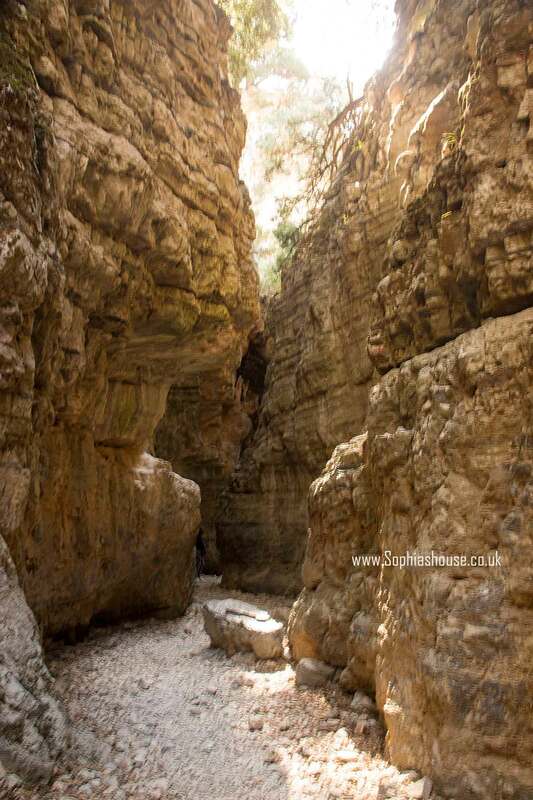 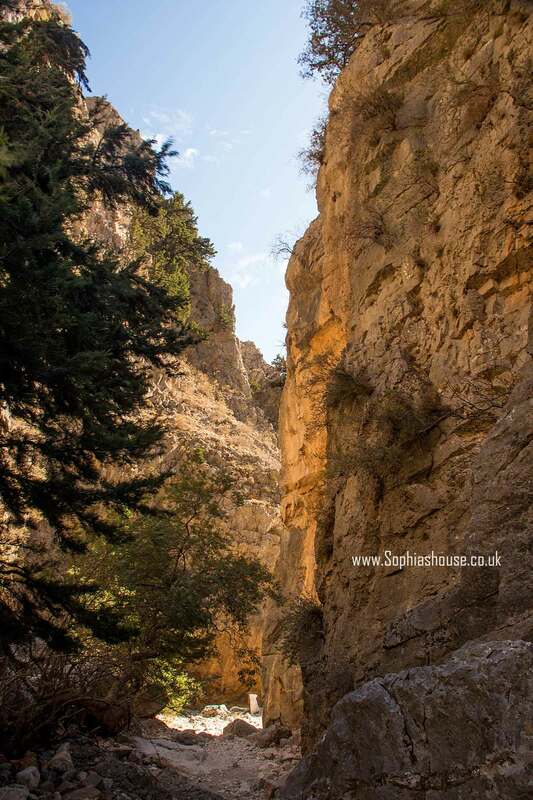 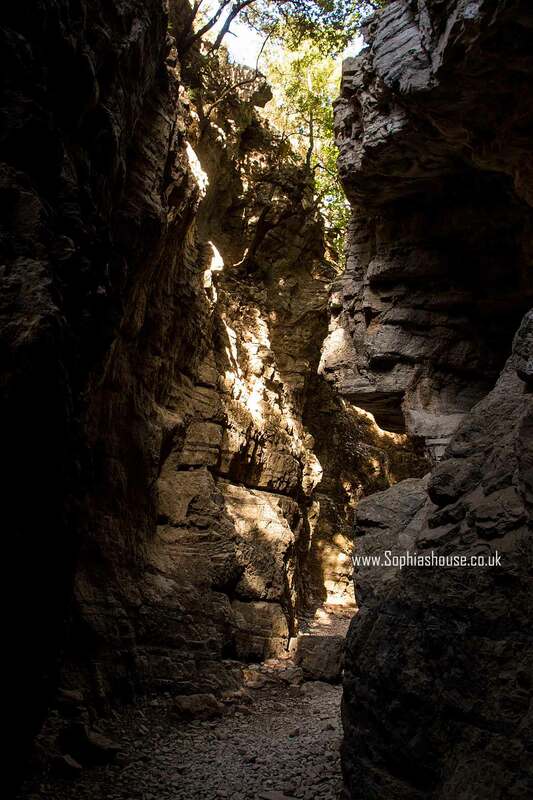 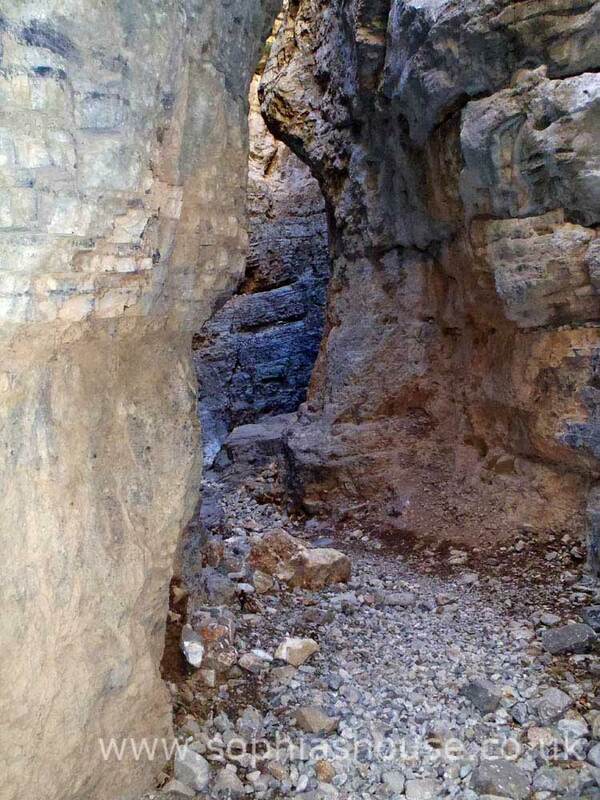 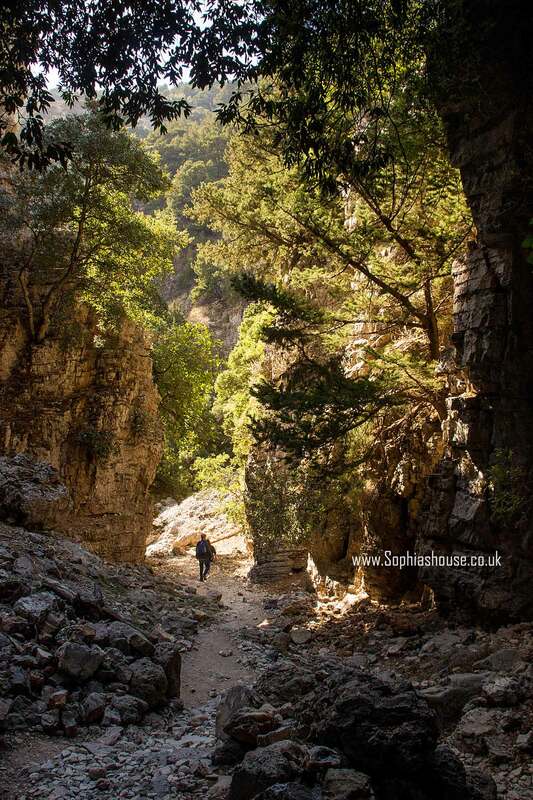 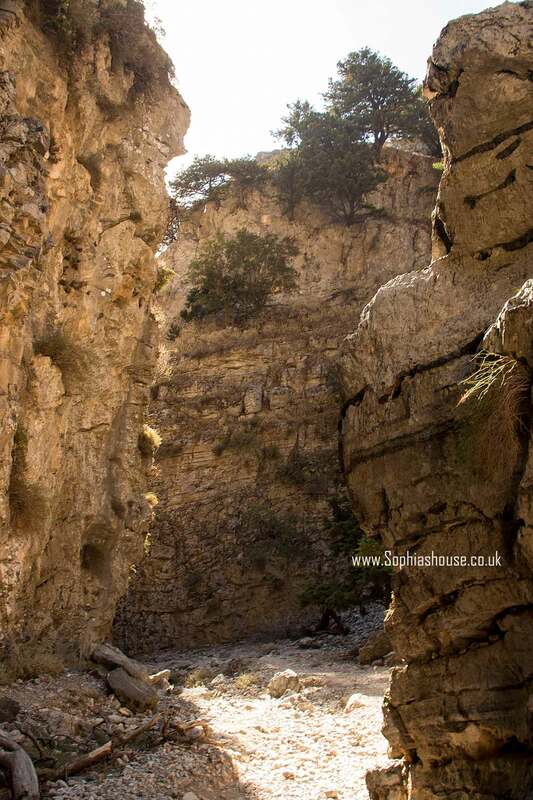 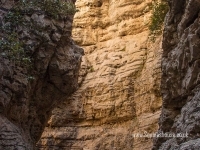 For those interested in history this is the gorge that the British army retreated down during the battle of Crete in 1941, many were evacuated from the beaches around Chora Sfakion were there is a monument to commemorate the event.